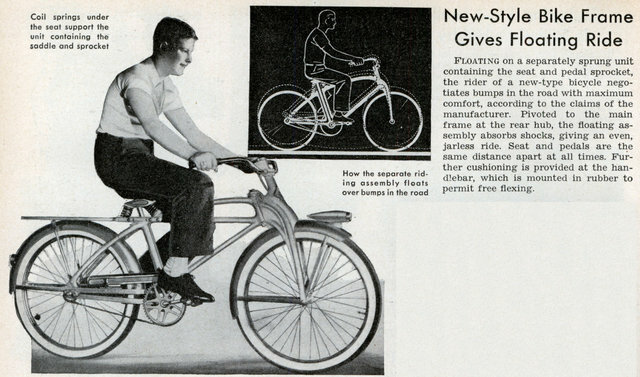 Floating on a separately sprung unit containing the seat and pedal sprocket, the rider of a new-type bicycle negotiates bumps in the road with maximum comfort, according to the claims of the manufacturer. Pivoted to the main frame at the rear hub, the floating assembly absorbs shocks, giving an even, jarless ride. Seat and pedals are the same distance apart at all times. Further cushioning is provided at the handlebar, which is mounted in rubber to permit free flexing. 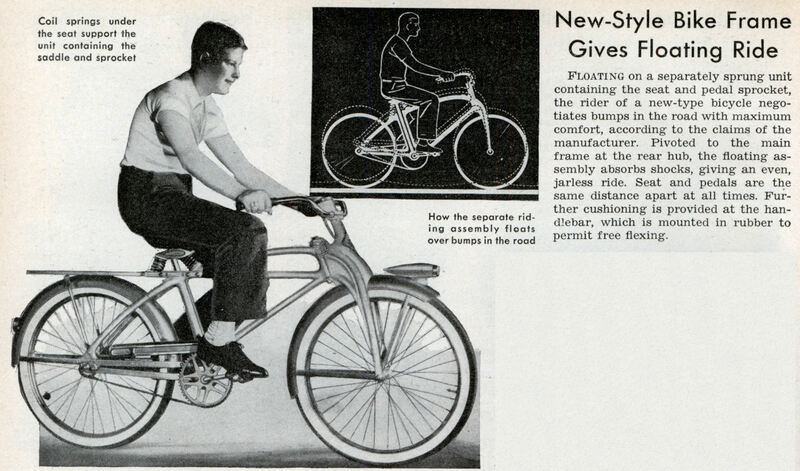 So this is where Pee Wee Herman’s bike was developed?